Okay, okay, so we know it says HalloweenCostumes.com, and yes, we are particularly partial to Halloween. But that doesn't mean we don't love the other holidays too! We like to think of ourselves as holiday-inclusive. Holidays are amazing, after all. They're a time for getting together with family, eating ridiculous amounts of food, and putting up weird decorations (seriously, why on earth would you color the shell on an egg otherwise?). And for us? Well, all holidays are an excuse to wear costumes. We don't know about you, but any chance we have to wear a costume, we do! So, with that being said, it shouldn't be a surprise to you that we have costumes for all possible events and holidays. For instance, Christmas. 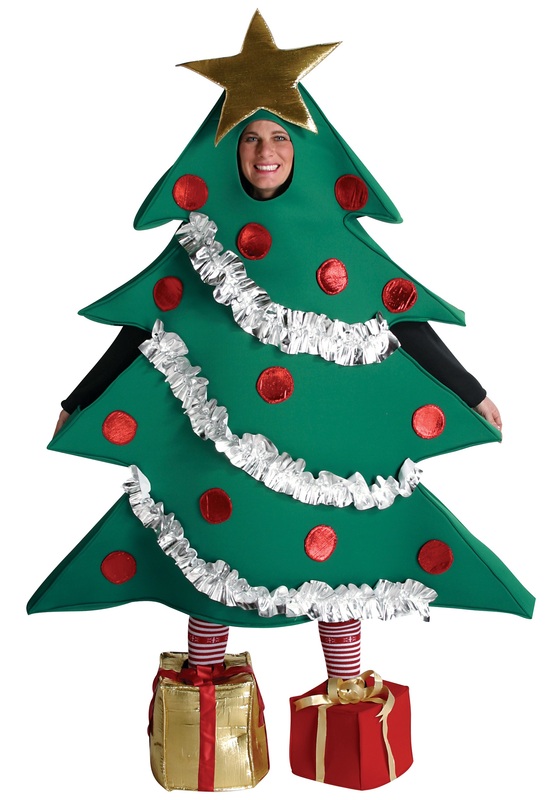 Why wouldn't you dress yourself up as a giant present or cookie if you could? That just sounds awesome! We take it one step further. We have a full-blown Christmas Tree Costume. That's right. You can be the freaking tree. It's got a tunic shaped like an evergreen with silver trim and red ornaments. To cover your feet, there's even present foot covers. It doesn't get much more festive than this. You could even add some more decorations to personalize your tree for your party! How fantastic is that? Amazing, right? We knew it would get you into the holiday spirit.